This is a pure pop-corn movie. If you didn't watch the original movie National Treasure, then you should watch that first. This film is like The Da Vinci Code, clues upon clues that leads to fantastic secrets. 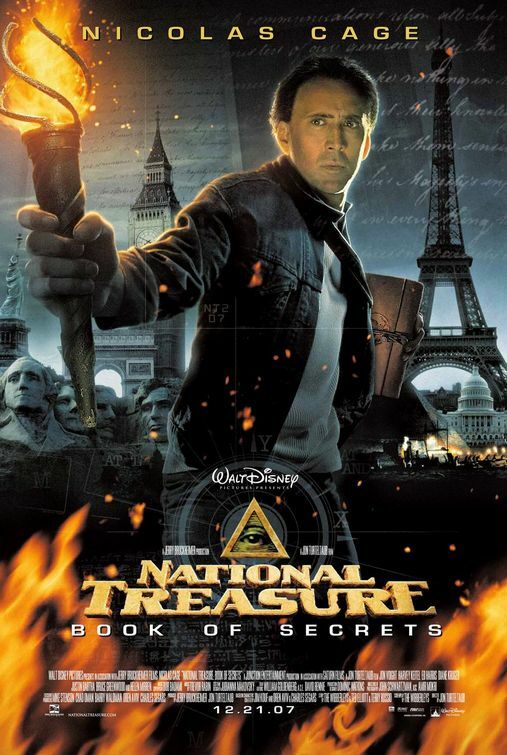 However, while Da Vinci Code was dark, National Treasure (and National Treasure 2) is more action packed, some slight comedy moments and the secrets lead to treasures. Ben Gates (Nicolas Cage) who is descended from a long line of treasure hunters looking for a war chest hidden by the Founding Fathers after the Revolutionary War. The chase leads them to breaking into and stealing the Declaration of Independence (because there's a secret map on the back of it) and the fun goes on from there. In National Treasure: Book of Secrets, the goal is actually to clear the gates family name when Ben's great great grandfather is accused of being one of the conspirators in the assassination of Lincoln. The search leads them to break into Buckingham place and the oval office, and finally to the lost city of gold. My only complaint is with the pacing of the movie as 3/4 way through, it seems to lose some steam before the final conclusion. Fantastic, crazy and most of all fun. Remember Julia Roberts in Runaway Bride ? She was the bride in multiple weddings but never actually married, in 27 dresses, Katherine Heigl plays a soft hearted girl who has been a bridesmaid 27 times. 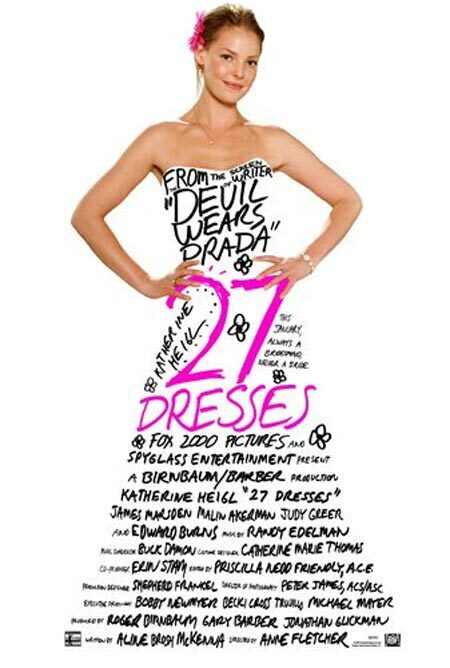 But don't worry, while Runaway Bride stank to high heaven, 27 Dresses is a breath of fresh air. I loved the show. Its simply a good old fashioned love story with comedy thrown in and the result is wonderful. Katherine Heigl is refreshing and when she smiles the screen simply loves her (a lot like Julia Roberts), and James Marsden is finally in a movie where he's the male hero and finally get's the girl. Both of them have great chemistry on screen. While I liked the movie, I should also warn you that there's nothing new here. The movie follows the usual path of romantic comedies, boy meets girl, they don't like each other, they fall in love, boy marries girl. As long as you like the romantic comedy plotline, go for it, I'm sure you'll love the movie. I watched this about a month back but just didn't get around to writing a review. 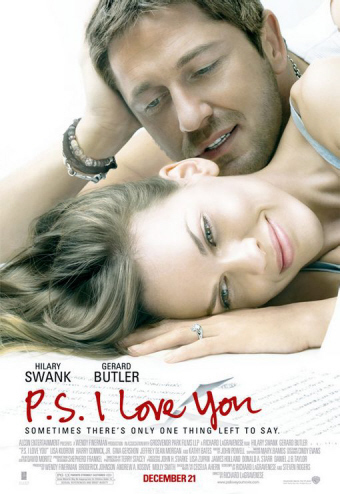 If you like Gerald Butler and don't mind sappy movies then, go ahead and watch this movie with no reservations. Notice that I said sappy movies and not romance. P.S. I Love You is not a love story, its about getting over the love of your life after he/she passes on. Don't worry this isn't giving the plot or anything away because you'll discover this about 15mins into the film. Again its a problem with trailers selling the show as a romance when it is not. Still there are strong performances from Gerald Butler and even Hilary Swank whom I had doubts about. I did like the show, there are some very touching moments and almost all of them are when Gerald's involved in it. This is really news breaking for those plugged into entertainment news. I think this is going to dominate entertainment news and blogosphere for the next 24-48 hours. 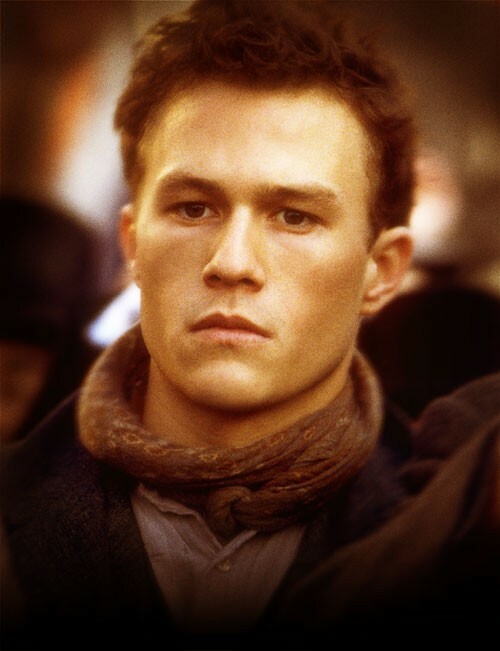 Breaking news from the New York Times is that Heath Ledger was found dead in his hotel room. Heath Ledger was a very widely acclaimed actor and just finished filming the long anticipated role of joker in 2008's upcoming Batman 2 - The Dark Knight. I have to admit I'm shocked, he's only 29 years old and recently married and had a baby girl. Tentative news is that its a suicide, which is another shock as he seemed "stable". Guess you just can't tell nowadays. I saw a recipe for Peanut soup on Straight from the Farm, and was instantly enchanted. I've never tried using peanut butter in a soup or in actual cooking so I was very interested in trying this out. Heat oil in a large soup pot. Once hot, add onion and garlic and cook for three minutes. Add the mushrooms, peanuts, ham and cook for another three minutes. Add the all the remaining vegetables and cook for about 8 minutes till the veggies are starting to sweat, stirring occasionally. Season lightly with a little salt and pepper. So what's my verdict? I like it. Exactly what vegetables you use is up to you but you'll want to avoid the more leafy greens of course. Potatoes and corn as mentioned in the original would be excellent, peas too I think. I'm very glad that I used the no sugar added peanut butter, this way you see, smell and taste the real peanut without all the sugar overpowering the vegetable taste. I also think that adding raw peanuts to the soup is very important for taste and texture. Chunky peanut butter is good but nothing beats biting into a real peanut. And of course adding ham or chicken to the soup for those of us non vegetarians is a huge added bonus. I'm pleasantly surprised by this recipe. Definitely one that I'll make again, its healthy low fat and filled with veggies. In the words of Martha Stewart: Peanut Soup, its a good thing. It is COLD today and this whole weekend. Its basically the weather where if you throw a cup of boiling water into the air, it will freeze before it hits the ground. 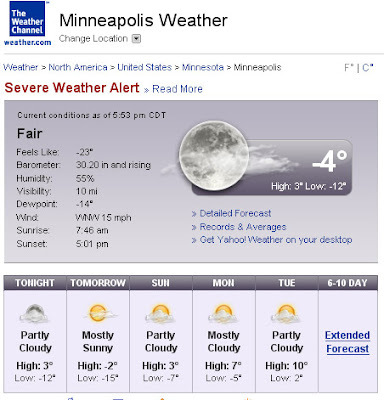 Good thing I've got food, books, and games, all ready to hibernate till Monday morning. Stay safe and warm this weekend everyone. Ahhh you-tube, one of this decade's best innovations. Here's a pick from yesteryear, ABBA's Thank you for the Music. Just saw the first 2 episodes of The Sarah Connor Chronicles. This show is AWESOME!!! The story picks up mostly after the movie Terminator 2 and John is 15 years old. The writing so far is top notch! I won't give out too many spoilers but as you can see from the picture below, they did some Time Travel. Summer Glau is the new Terminator, (the good one) and she rocks, you might remember her from Firefly. I also like the new John Connor (Thomas Dekker) and I don't hate the new Sarah Connor (Lena Headey). My only concern is where the storyline will be going, but so far its good. Basically, they thought Skynet was destroyed but then a new Terminator is sent to kill John. They decide to travel from 1999 to 2007 to find the roots of the new Skynet and prevent the coming destruction of the world in 2011. The show might be about 10 years late but I like what I've seen so far and I'm hooked. Terminator: The Sarah Connor Chronicles is a must watch for all Terminator and Sci Fi fans out there. Nostalgia is a dangerous thing. I'm a Singaporean but having spent the past 13 years in the US with only yearly visits back home I'm in a unique position to see the drastic differences that have occurred to my homeland in the past decade as compared to someone who lives there daily. People spout the usual rhetoric about a lack of civil liberties, something that just about every Singaporean agrees on but upon further observation, that's not quite true. Compared to 10 years ago Singaporeans do enjoy a growing (although slow) increase in civil liberties. For example, the open debate about gay rights that occurred several months ago, having local reporters openly question Mr. Lee Kuan Yew about our lack of civil liberties (See Jan 11 2008 Straits Times Video News, "Retirement Means Death") . Perhaps I'm wrong but 10 years ago I don't think such things would have occurred. Granted that compared to countries like Britain and America, Singapore's advancement in this arena seems a snail's pace, but every country is unique and despite its slow pace, Singapore has advanced. A major part of this advancement is the education and attitudes of the younger generation. When I was growing up in Singapore almost everyone on TV was over the age of 25 and had passed "censorship". What I mean is that they had been screened to project a certain image, this applied to TV broadcasters to contest applicants to actors. But with the advent of live shows like Singapore Idol, we're seeing "real" Singaporeans, people who are just as flawed as we are. The internet has also opened a flood gate for the younger generation, they have access to global news (be it politics or gossip or entertainment). When you can see what others around the world are experiencing, its only human nature to compare what you have against what you're seeing. And if the results don't measure up to your expectations, feelings of dissatisfaction will arise. Truth be told, I think the majority of young Singaporeans are still sheep just like I was... am. The difference is this generation are less sheep like and have a growing number of role models who are not afraid to speak up. I'm an introvert and a self professed sheep. Never wanting to make waves, more or less content with his lot. But in my middle age (oh GOD!!!) I sometimes wonder if I had stayed in Singapore if I would/could have become more. Would I have joined the gay rights activists in Singapore? 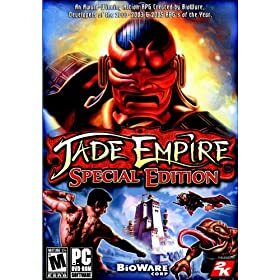 Would I have followed my passion and joined the growing video game development community in Singapore? Would I have been more than just a sheep? Sadly, a nagging part of me realizes that without the independence that I enjoy in America, learning to depend on myself and experiencing the freedoms that I do here, I think I would still be a mere sheep content with his lot but worse off because I wouldn't even have the mental capacity of questioning my sheepishness, and making a blog post on my thoughts about Singapore's social evolution. As I said at the start, nostalgia is a dangerous thing. Well its been 8 days since my last post. Not much to mention, things have been slowing down since the holidays. I did celebrate my Birthday on the 29th with Eins and her beau. I also cooked while they were here. I made my grandmother's Satay Chicken again and also sambal eggs. The Satay Chicken is comfort food for me so I like making it around the holidays. Since then, I've mostly been reading up a storm and playing computer games. My choice of books is kinda junkie, so I'm actually a little reluctant to list them but oh well. I may read a lot but I they sure as heck don't improve my mental skills. 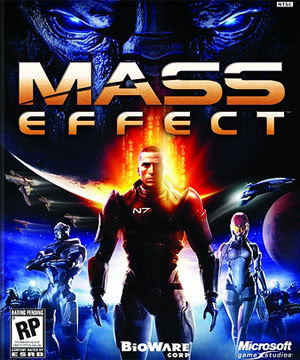 That aside I've been playing Mass Effect. 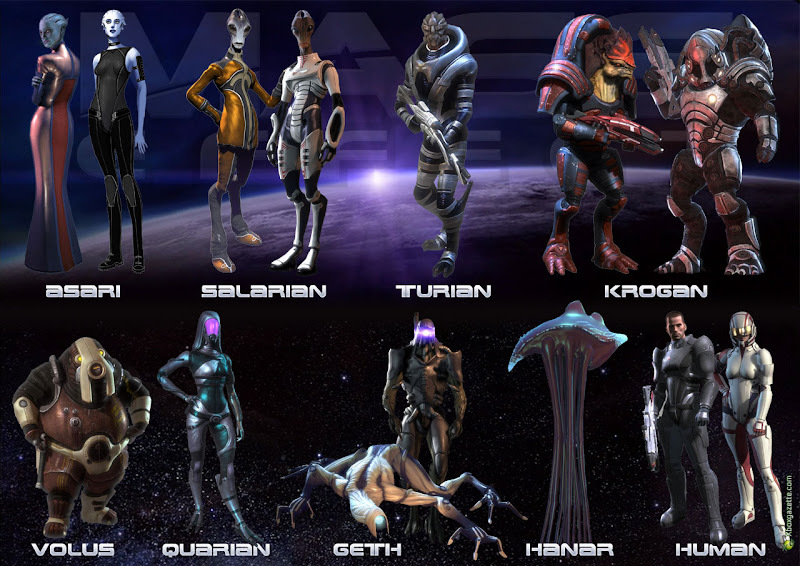 Here's a cool list of all the races you'll encounter in Mass Effect, and also the picture of my second character in Mass Effect. 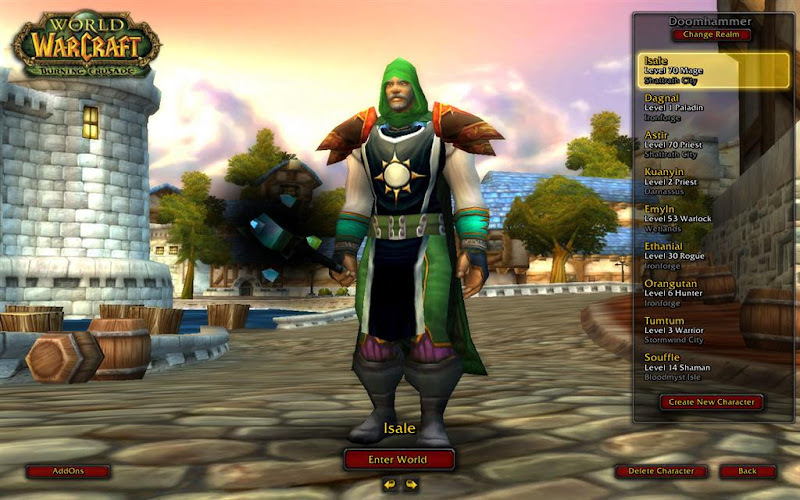 I've also been playing some World of Warcraft. 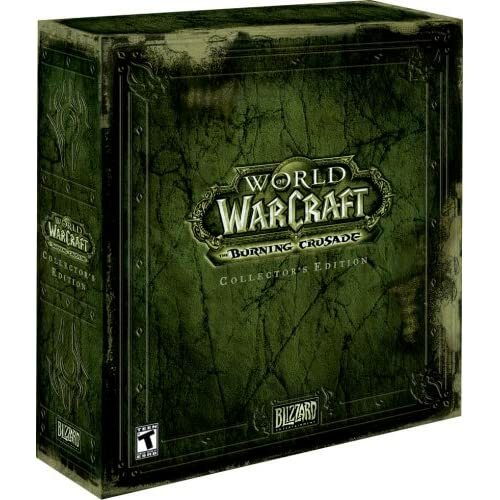 Yes I'm still playing it, mostly because there's a severe drought of good MMORPG's. 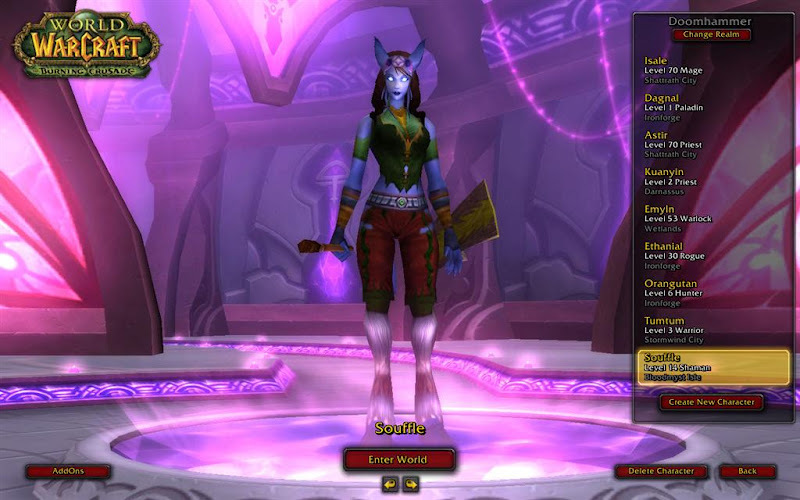 I finally got my 2nd level 70 character (Isale) and now I'm playing with my Draenei Shaman. I finally finished Mass Effect. Took me 36 Hours and 48 minutes and I got to Level 48 as an Adept. Oh and I unlocked 565 gamer points as well. I have to tip my hat off to Bioware. 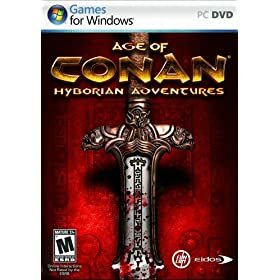 This was one of the best RPG's I've ever played and I'm done quite a few. The story and ending while not original for a sci-fi book is amazing for a video game. Anyway, here are some youtube scenes of the game. Specifically the romance with Ashley (the human) and the ending that I experienced. 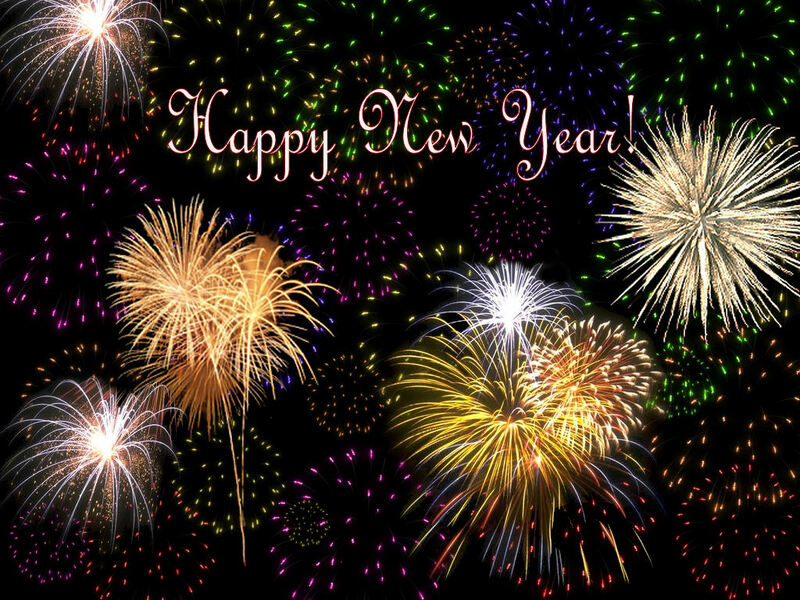 Happy 2008 everyone! Hope its a good year for ya.